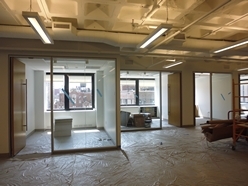 Grand Central Loft Office | Madison Avenue - $62 / 3060 SF. 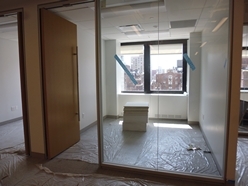 Today this unit is under renovation; tomorrow this above standard brand new high-end pre-built office will include the following features; 6 private offices, a conference room, a small open work area, and a designer pantry with stainless steel appliances. The unit enjoys a slab to ceiling height of 13.5 feet, while the office itself stands upon polished concrete load bearing floors. The office herein enjoys a loft form factor that includes exposed beamed ceilings, rounded exposed ductwork, sprinklers, and an open central core rounding out the space not including the perimeter offices - as seen in the listing's photography. 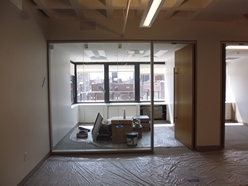 Each private office is enclosed by glass and aluminum framing which has been married to full length cedar doors. 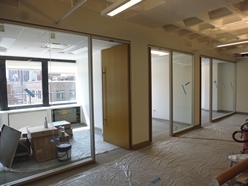 Each private office contains a finished ceiling that is vented, otherwise the central open core area can accomodate some workstations and a reception desk at your option. 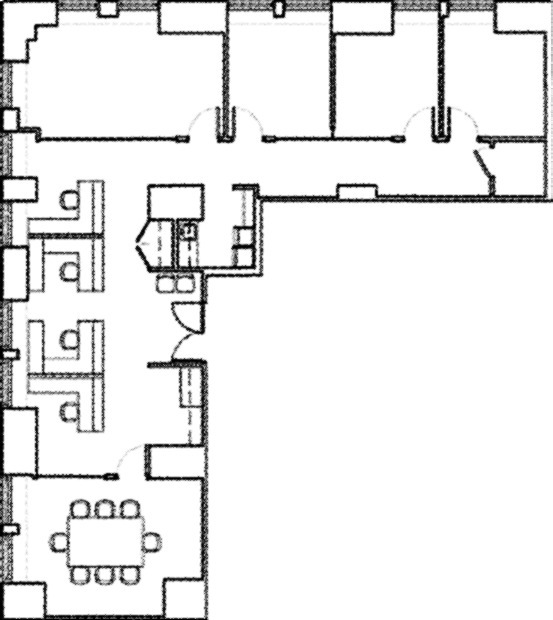 Located in a boutique office building of uncommon character, understated style and sophistication. This office would be ideal for any creative office use, moreover the space would serve well any of the following industries; accounting, architect, law, media, nonprofit, tech, etc. Lease Term of 3-8 Years.